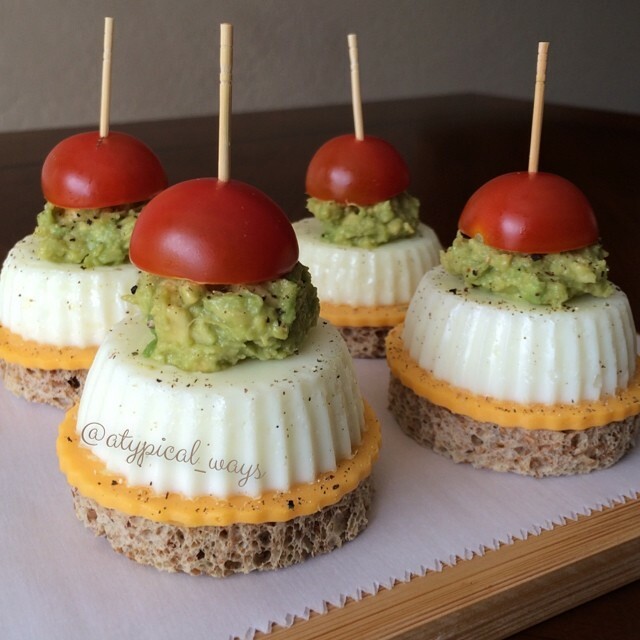 Quick & Simple “Egg in a basket’ Bagel Breakfast BLTA! Preheat broiler to high. Broil bacon until crispy on a foil lined baking sheet. While bacon is cooking, cut out a circle in the top slice of the bagel and place in a skillet with cooking spray over medium heat. Carefully crack the egg into the hole, top with some fresh ground pepper and cook for about 2 minutes. Flip and cook for another 1-2 minutes. Layer the bottom bagel slice with the spinach, tomato, turkey bacon & avocado and top with the ‘egg in the basket’! Carrot Cake baked oatmeal with Egg whites! 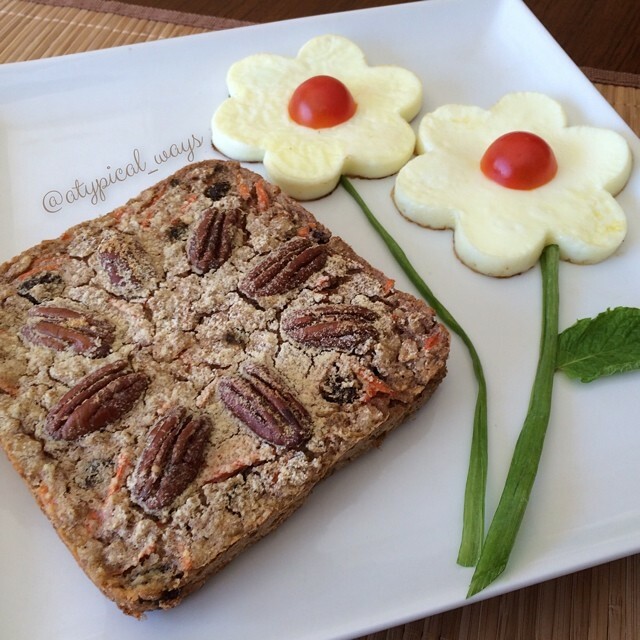 Carrot Cake baked oatmeal with Egg whites. I mixed most of this together before I took my son to school and popped it in the fridge because I like my oats to soak and get soft. I baked it post workout. Mix oatmeal, almond milk, carrot, raisins, spices, baking powder and vanilla together and let rest. Preheat oven to 375 degrees. Stir in egg white, top with pecans. At this point I dusted mine with a little coconut flour to get the top crispy when it bakes. Pop in the oven for about 25 minutes. 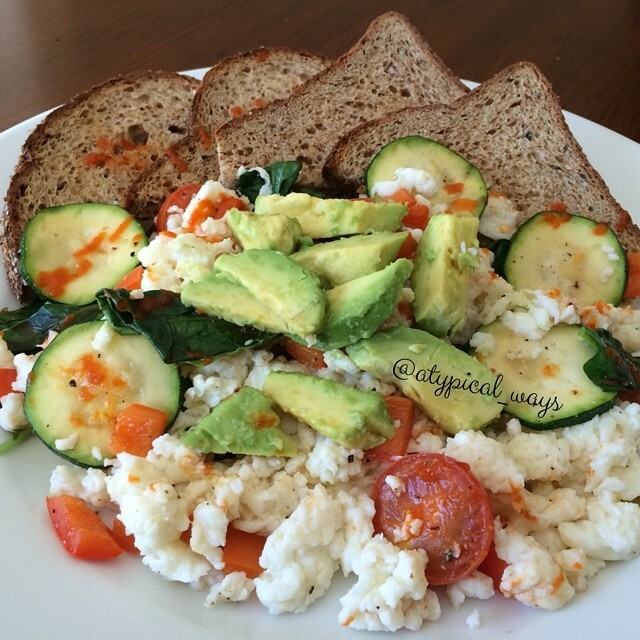 I also had a side of egg whites with it! 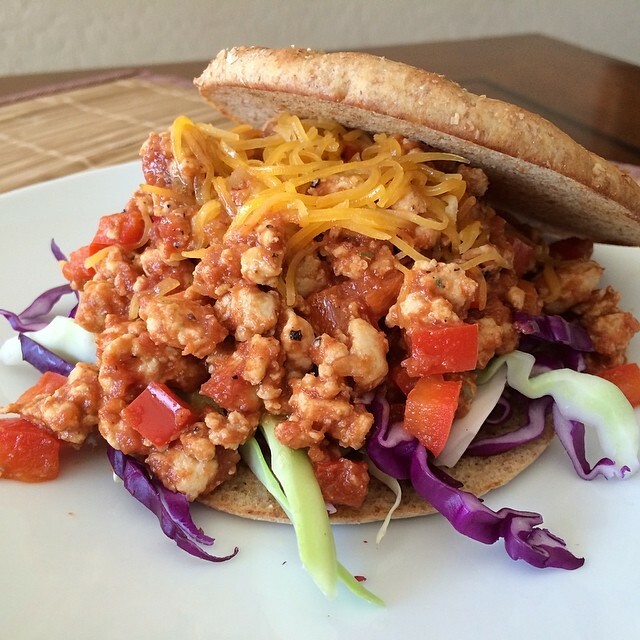 Ground Turkey Sloppy Joe…yum, leftovers at its finest!